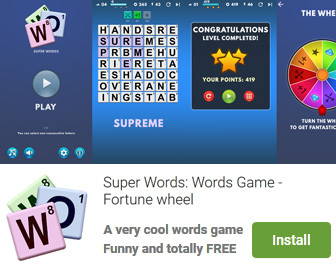 The application comprises algebraic, trigonometric, hyperbolic and transcendental functions. Eqplot can be used to verify the results of nonlinear regression analysis program. Graphically review equations: eqplot gives engineers and researchers the power to graphically review equations, by putting a large number of equations at their fingertips. Up to ten equations could be plotted at the same time, so that intersections and domains could be studied visually. Understandable and convenient interface: a flexible work area lets you type in your equations directly. It is as simple as a regular text editor. Annotate, edit and repeat your graphings in the work area. You can also paste your equations into the editor panel. Example of mathematical expression: 5.22 X) + square (x) + power (x;3) + power (2.55;4) Logbasen (4;6.25) save your work for later use into a text or graphic file. Comprehensive online help is easily accessed within the program. 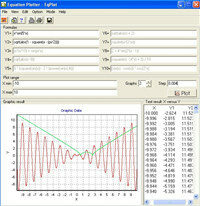 Equation graph plotter - EqPlot is an educational program that works under windows xp, windows vista and windows 7. It supports both 32-bit & 64-bit windows editions, therefore it could run faster on 64-bit computers. Estimated download time for Equation graph plotter - EqPlot on a common adsl connection is less than a minute. Version 1.3.31 was released sixty eight days ago by Institute of Mathematics and Statistics. Click the green download button to download it now.